Home Course Features	Budwine a budding superintendent at Deep Springs? 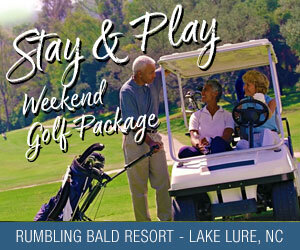 John Budwine boasts 35 years of experience in the golf business. He never dreamed, however, that one day he’d be in charge of a greens replacement project. Granted, no one saw this change coming at Deep Springs Country Club, but when some of the greens started dying off at the picturesque club outside of Stoneville, the board of directors acted quickly: out with the bentgrass, in with the Champion bermudagrass. And Budwine, the head golf professional and general manager, got to become Deep Springs’ unofficial superintendent as well when the former super left for a new job. Deep Springs has been a private club since it opened in 1969. The attractive Ellis Maples design features an open layout that is conducive to scoring while also challenging golfers to use every club in the bag. 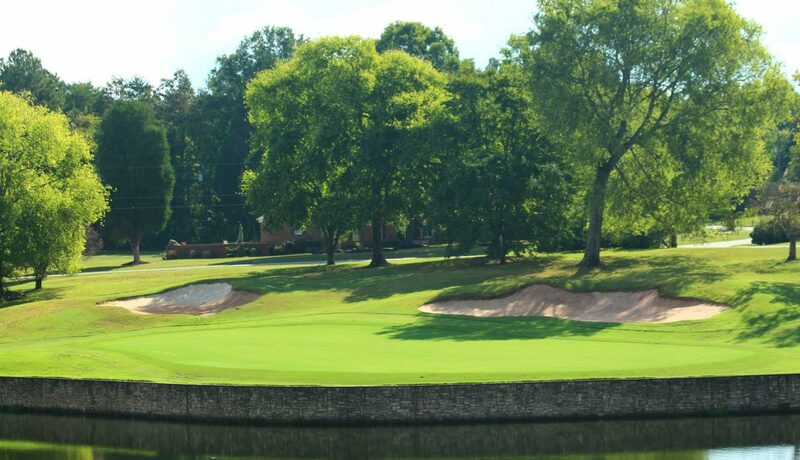 The course features five sets of tees ranging from about 5,000 to 7,000 yards on the par-72 layout, 60 bunkers and water in play on six holes. The greens, however, were the original bentgrass, and over the past few years the excessive heat has taken a toll. Deep Springs put in several temporary greens this summer before electing to shut down July 23. Reopening is scheduled for Oct. 15 — a deadline that Budwine said should be met. Jokes about being superintendent aside, Budwine praised the job being done by the true professionals in the process. Peter Dejak of Signet Golf Associates in Pinehurst handled the reconstruction of five greens, while George Frye of Champion Turf Farms in Texas led the conversion to bermudagrass. The Champion sprigs went down in August, with careful attention then being made to keeping the new grass watered and fertilized. Budwine leads a maintenance staff of just seven, so everyone has logged long hours helping with the construction where needed as well as maintaining regular upkeep on the course. One hundred trees were also removed throughout the course after being identified by Frye as blocking the afternoon sun on some greens. The 18th hole, in particular, has a striking new look when standing on the hill some 220 yards away from what has become a more wide-open design. Budwine called the 18th his favorite hole on the course. It was among the five that had to be remodeled because the undulations of the old greens would have made for too much speed with the new turf. The fourth and 12th holes are par-3s that got makeovers, while Nos. 10 and 17 are par-4s with new greens. In each case, the fronts of the greens were raised to level them to keep the ball on the green. The 18th green saw the biggest reconstruction. The front was raised about 3 feet, and the bunker on the left side was taken out and redesigned. At every hole location, the undulations remain, but are more subtle with less slope. The new finishing hole is perfect for a course Budwine loves to play. He’s found himself in the interesting position of spending 12 hours a day at Deep Springs all summer, yet not playing any golf. Budwine has been at the course a little more than a year – making the move after running his own academy in Raleigh for five years – but he was familiar with Deep Springs and some of its members from his time as golf pro at Forest Oaks Country Club in Greensboro. Club members are as eager as Budwine for the renovations to be completed. Several members come out every day and ride around on a golf cart to look at the progress being made. Budwine keeps people updated with posts and photos on the Deep Springs Facebook page. After one such post, a member commented that Deep Springs would no longer be one of the best kept secrets in the area. The course’s location just off highways 311 and 220 in Stoneville leaves it about a 45-minute drive from Greensboro and Winston-Salem, and only an hour from southern Virginia cities such as Danville and Martinsville. For those who are unfamiliar with the course, Budwine said promotions to give Deep Springs a try will be coming soon, including several options to join the full-service country club. And after they see it and experience it and visit with current members, they’re going to want to stay.